HANOI (17 Dec 2018) – Vietnam’s win of the AFF Suzuki Cup this year was the culmination of a well laid out plans by the Vietnam Football Federation (VFF). Things in football do not happen overnight and the VFF through their various development programmes and also the V-League is reaping the benefits and as such their second ASEAN crown since 1996. “I am proud to be a part of this success and where I hope that we can look at better things in 2019,” said Vietnam head coach Park Hang-seo, who hails from South Korea. While part of that success will see Vietnam square off against East Asian Football Federation (EAF)F) champions South Korea at the end of March, for the moment, the team is basking in the glory of being ASEAN’s best. Players like Nguyen Cong Phuong, Ha Duc Chinh and especially Nguyen Quang Hai were pivotal in ensuring Vietnam’s success. Quang Hai also emerged as the Most Valuable Player of the AFF Suzuki Cup this year as Chong Phuong proved a handful for opposing defenders. 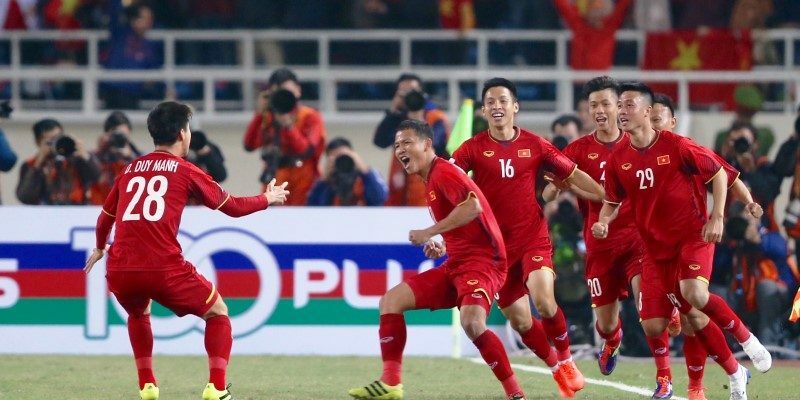 Both Quang Hai and also Duc Chinh had played major roles for Vietnam at the FIFA Under-20 World Cup last year and where they carried that performance to the AFC Under-23 Championship in China where they finished as runners-up. Another good performance at the 2018 Asian Games in Jakarta where they finished fourth only goes to show the quality that was in Hang-seo’s side. With former captain Nguyen Van Quyet not at his best this time round, the presence of quality custodian in Dang Van Lam and then veteran striker Nguyen Anh Duc made all the difference. It was Anh Duc who made it count in the second leg finals in Hanoi when the young strikers missed a handful of sitters in the first leg in Kuala Lumpur. “The team has a good blend of energetic young players with the experience of a handful of older players. In the end, that balance made all the difference,” he added. Vietnam’s next assignment would be for the AFC Asian Cup 2019.